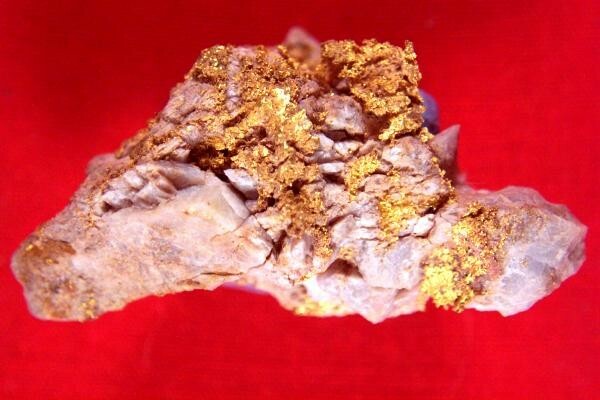 Aussie Gold in Quartz Specimen - 35.1 Grams - - It's Free! 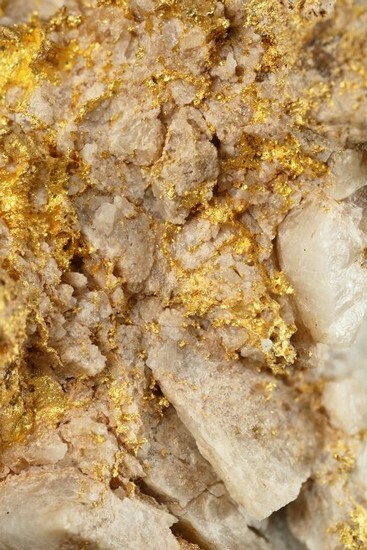 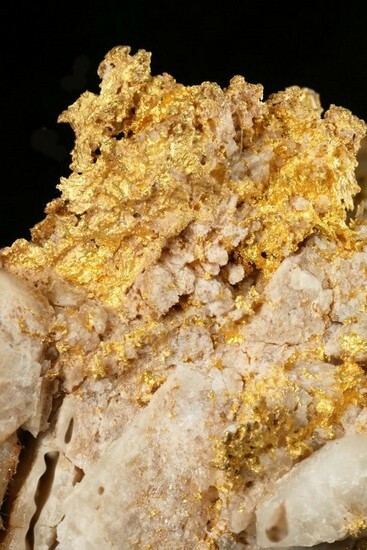 This Australian gold nugget in quartz specimen from Australia is loaded with gold. 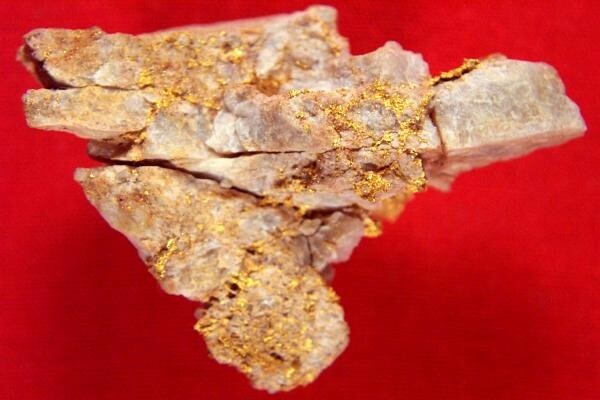 The weight of the entire Australian Gold Nugget specimen is 35.1 Grams and the size is 1.75" x 1.25" x 7/8". 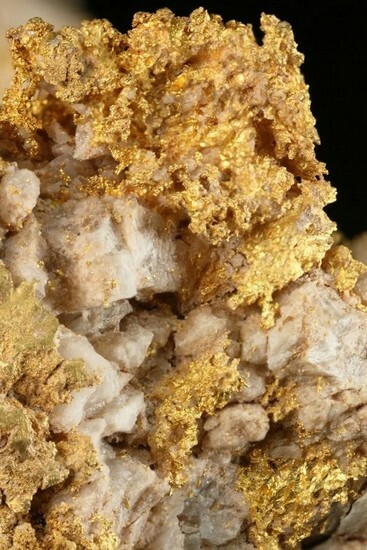 Most of the weight is gold, as gold in 9 times heavier than quartz and this beauty is loaded with gold throughout the specimen. 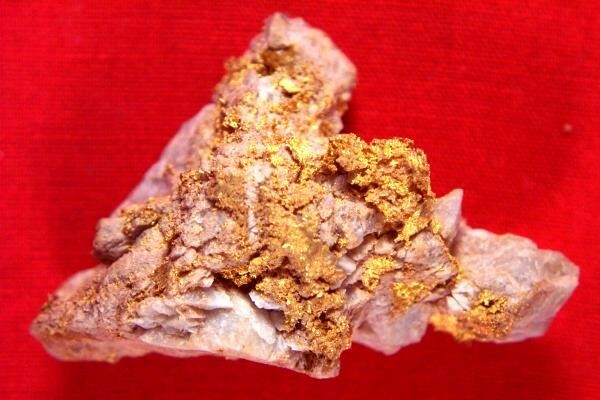 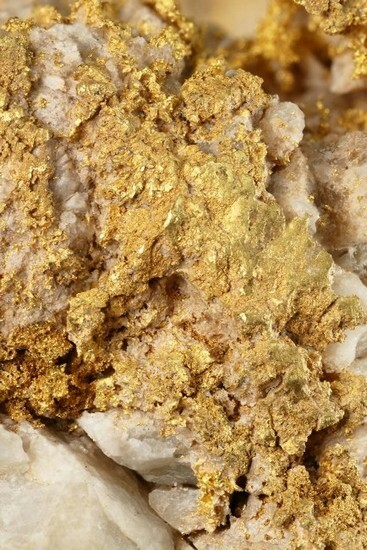 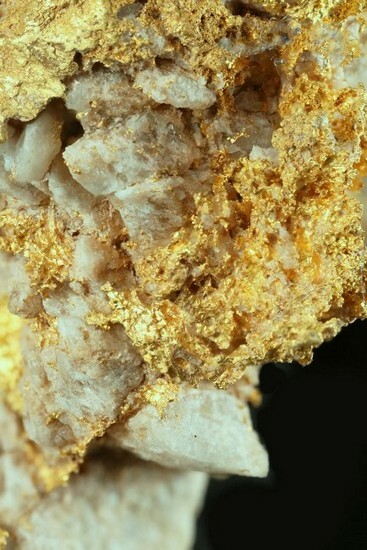 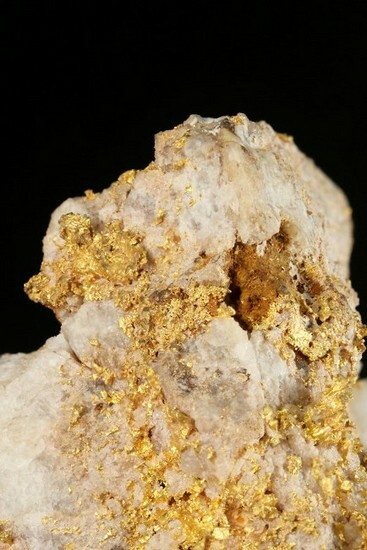 A specific gravity test shows that there is 21.8 gram of gold contained in this specimen. 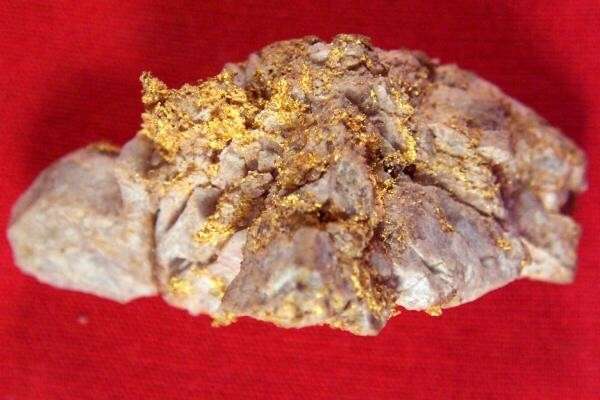 This would make a great addition to your gold nugget collection.